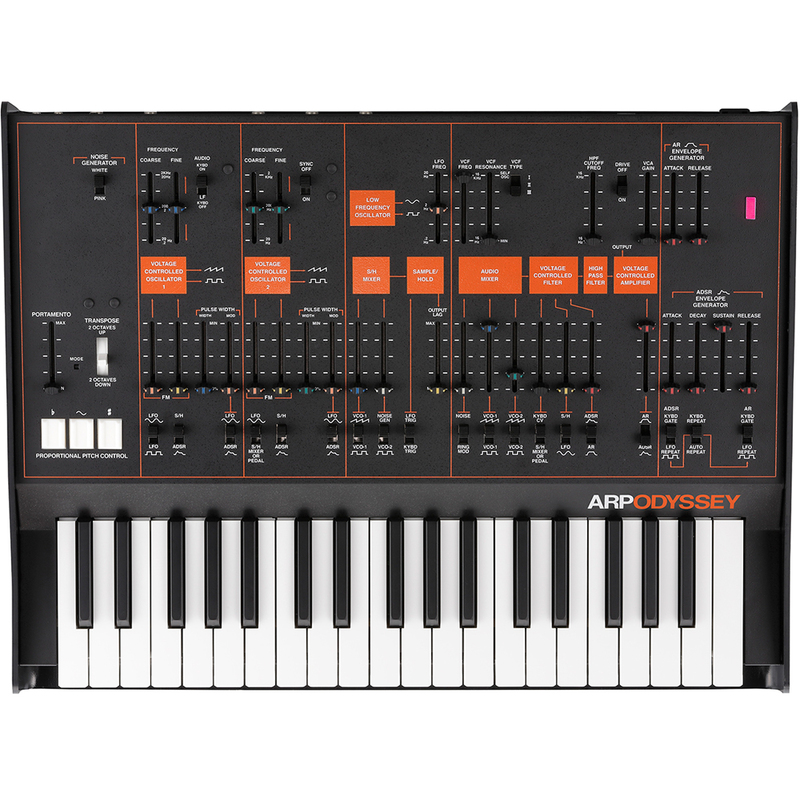 The original ARP Odyssey was first produced in 1972 and to this day is held in high regard for the sharp penetrating sounds it could produce. 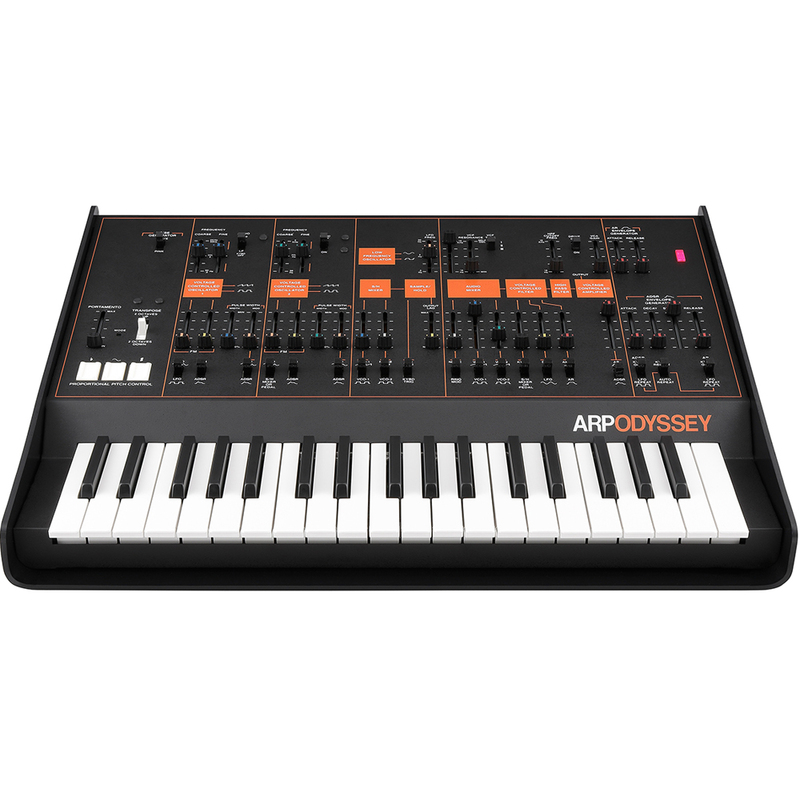 ARP ceased production in 1981 but now, 34 years later Korg have brought back the Odyssey. 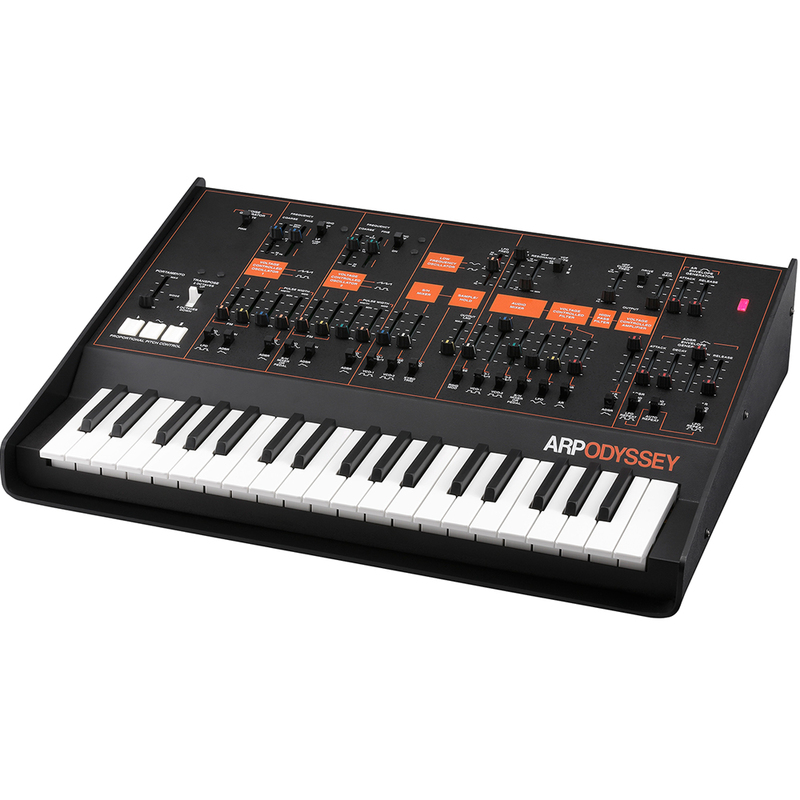 The original circuitry has been faithfully reproduced under the watchful eye of David Friend, (the co-founder of ARP) to produce an instrument that stays true to the original design down to the last detail. 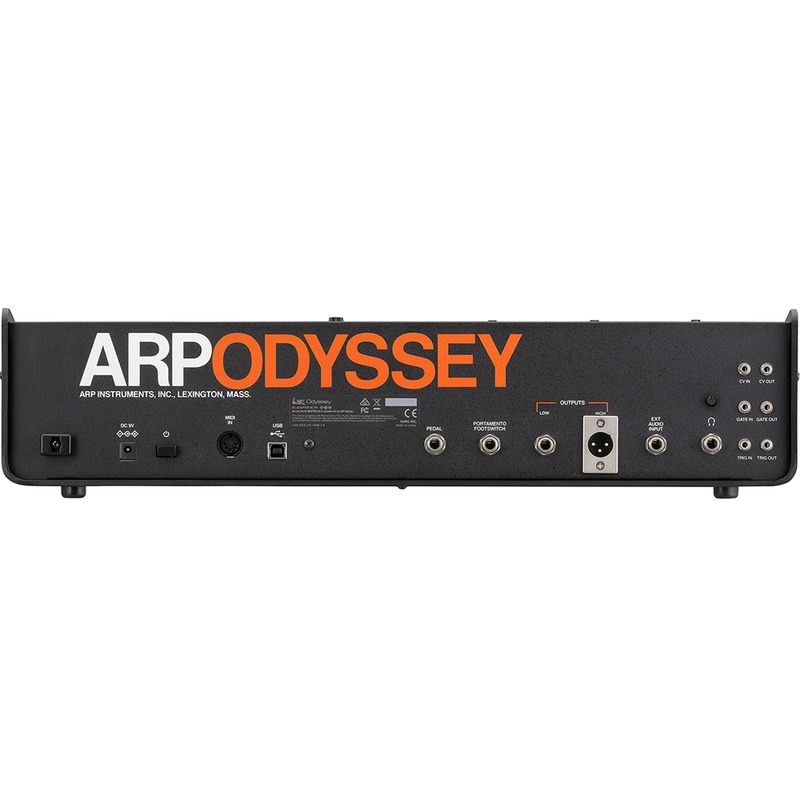 The Odyssey is duophonic and has two VCOs with a variety of sound shaping possibilities including oscillator sync, pulse width modulation and sample and hold, there are also two different types of envelope generator as well as an LFO. The 2015 Odyssey is 86% of the size of the original and features a 37 note slim keyboard (the transpose function covers a range of 7 octaves). The 2015 model also features a drive switch which makes the VCA distort in a sonically pleasing way. 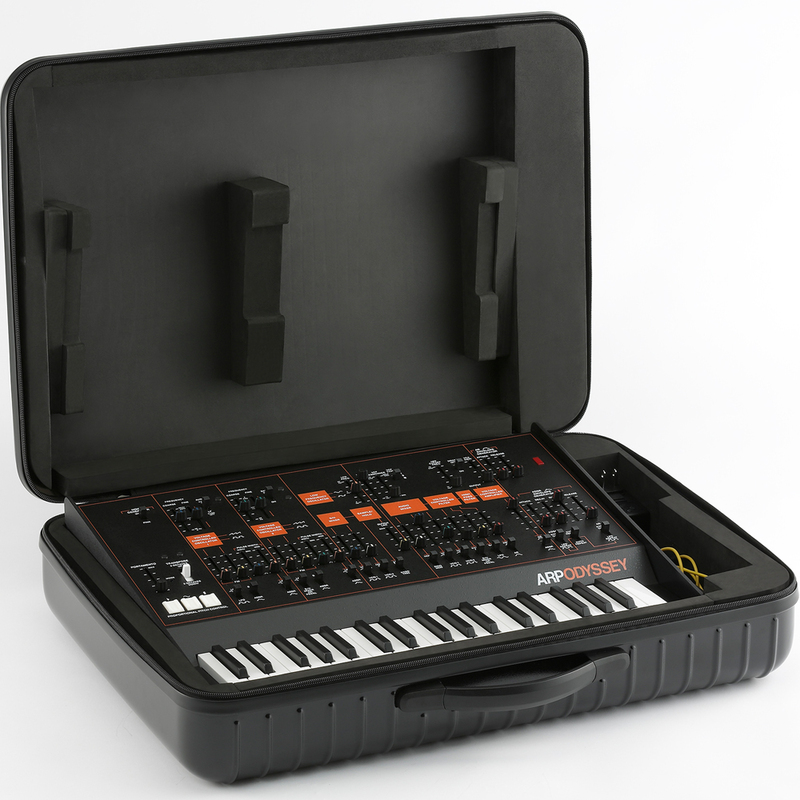 Other additions include a 5 pin din MIDI IN, USB connectivity, balanced outputs and a headphone jack with an adjustable volume which can be routed back to the audio input for self feedback. Dimensions (W x D x H) 502 x 380 x 120 mm / 19.76" x 14.96" x 4.72"